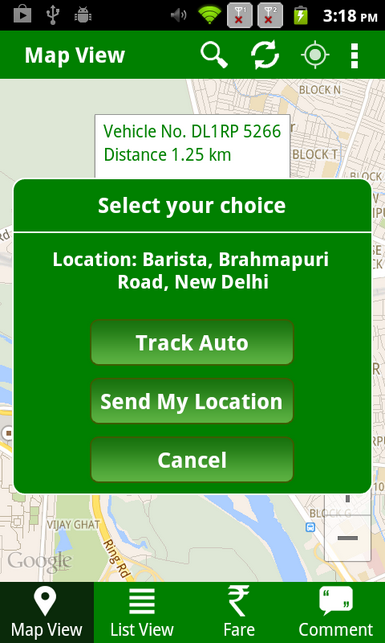 PoochO is a free Android App which is useful for people lives in Delhi. The app launched on 11 July 2014 by Lt. Governor Najeeb Jung. 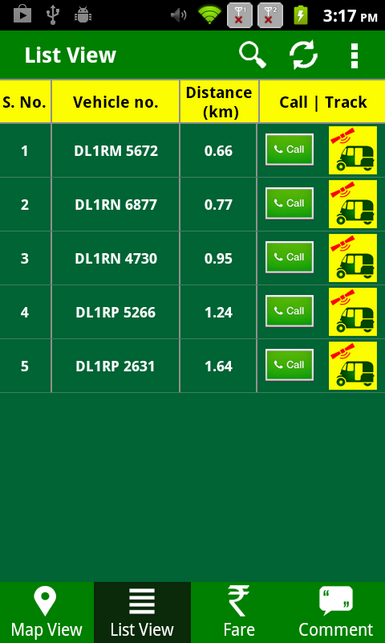 Using PoochO you can locate GPS Fitted Auto Rickshaws nearest you with Auto Rickshaws number and total distant between you and Auto Rickshaws. And it includes options to hire them. Also you can calculate a estimate value/fare for your trip, so if you new to Delhi Auto drivers can't cheat you. The PoochO App works on Android devices only and it now available on Google Play Store for Free. After hiring the auto rickshaw through this application, You can share your travel details on FB and Twitter so your family members and friends can get to know about your locations. Besides, there are several security elements in this app. It very useful for women traveling at night on auto rickshaws. 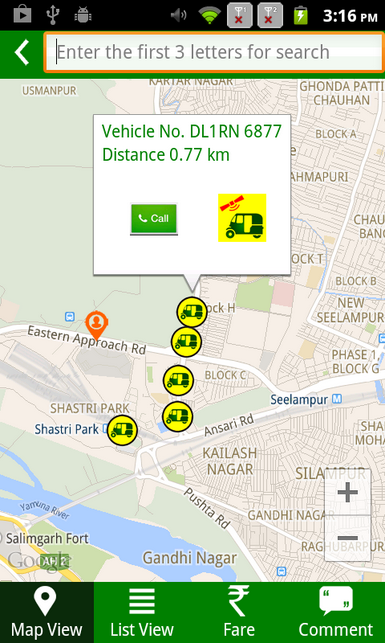 Currently about 24,000 Auto Rickshaws are support GPS across Delhi and hope that more autos comes under GPS.